In addition to protecting your table, coasters make great home decor. You can switch them out every season for a slightly different look. For example, you might like the look of terrazzo coasters when the weather is warm. 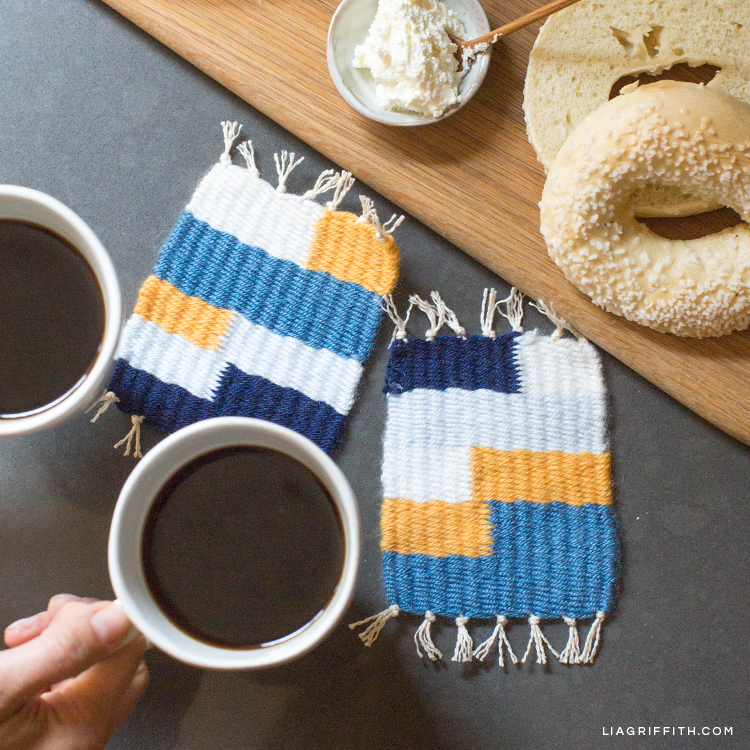 But once it gets cold and rainy outside, you might prefer these cute and cozy woven coasters. 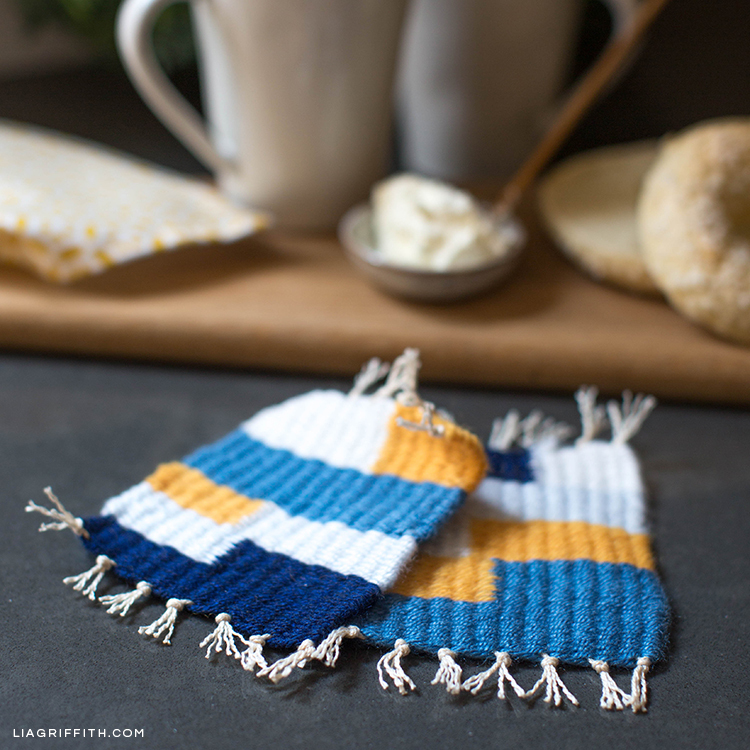 This fall, we’re swapping out our current coasters with these mini loom woven coasters. New to weaving? Don’t worry—you don’t need to buy a loom! Scroll down to see what you need to make these coasters. 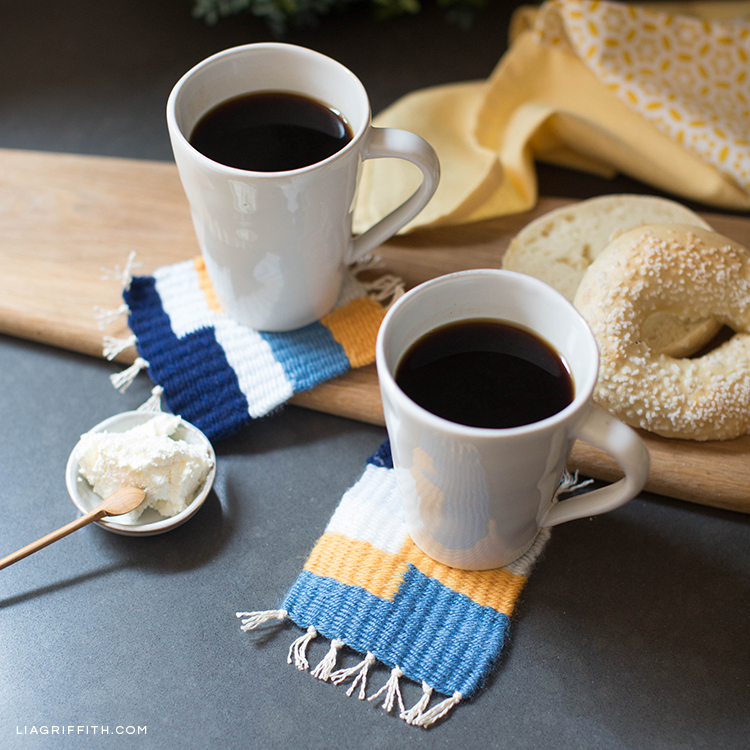 We’ve dubbed these woven coasters “mug rugs” because just like rugs, they protect your surfaces while bringing warmth and texture to a room. These coasters are great for hot beverages, like coffee, tea, or hot chocolate. They’re also fun and simple to make! The photo tutorial below will show you how to make your own mini loom out of chipboard and twine. We recommend using a cutting machine for this, but you can also cut the board by hand. You’ll find both the SVG file and printable PDF below as well as printable instructions. 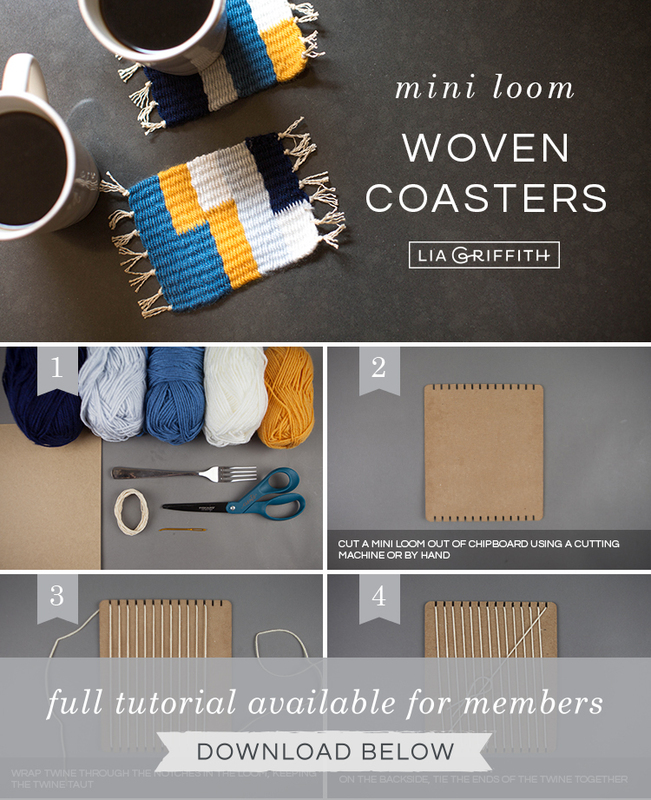 Whatever you prefer, our tutorial will guide you through each step so you can make your own woven coasters. The more you practice weaving, the faster you’ll get. You can also experiment with different designs and colors. When you’re done making this project, I’d love to see how it turned out! Make sure to share your crafts with us on Instagram using the hashtag #MadeWithLia. 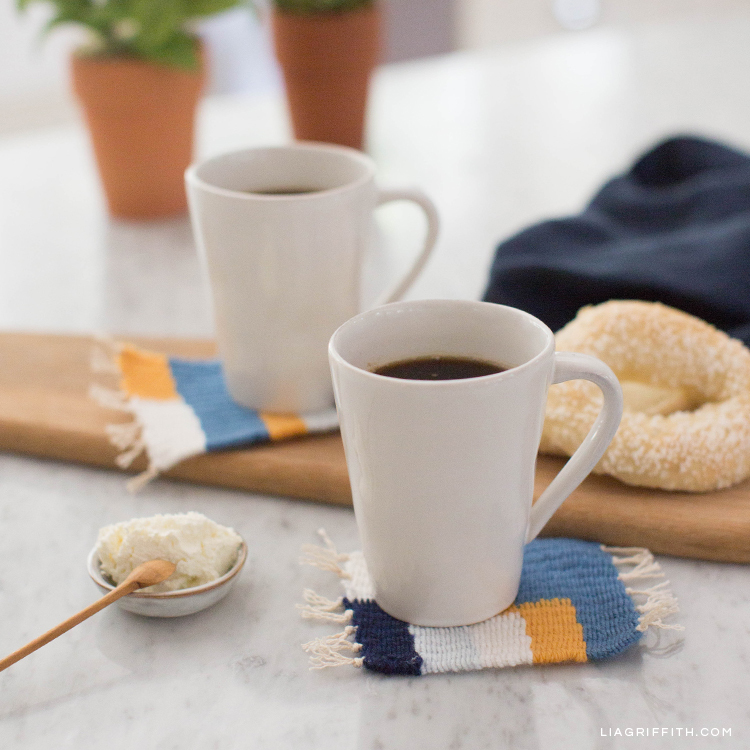 And if you want more DIY coaster ideas, we’ve got plenty. You can also follow us on Pinterest, Instagram, and Facebook—or join our crafting community. I can’t open the svg file on my iPad. It’s say.ai at the end of the file name and not .svg. Does that have something to do with it?